I simply can’t get enough of this side dish! It is my new favorite potato replacement, but really in is unfair to Celeriac to call it a substitute for potato, like it is second best. Celeriac is an under appreciated root vegetable. Maybe because in it’s unpeeled state, it is unattractive (sorry celeriac). However, the inside of the celeriac is a beautiful creamy white, and it loves to soak up flavor! In addition, it offers those who partake of it a nice dose of Vitamins C, K, B6, Phosphorous, Potassium, Magnesium, Manganese and Fiber. You can make this side in under 30 minutes on the stove top. Let’s go! Directions: With a large heavy fry pan on the stove top, add your olive oil and warm over medium high heat. Add the cubed celeriac, and sprinkle with salt. Cook the cubes until just starting to brown, which will take approximately 2 minutes, turning once or twice. Add the broth and minced sun dried tomatoes. Cover the pan, and reduce the heat to a simmer. Simmer covered for 20 minutes, until the celeriac is fork tender, but not falling apart. Remove lid and cook until the liquid is mostly evaporated, and there is just enough left to make a nice sauce. Sprinkle the celeriac with sliced fresh basil. Toss to incorporate the basil and serve! 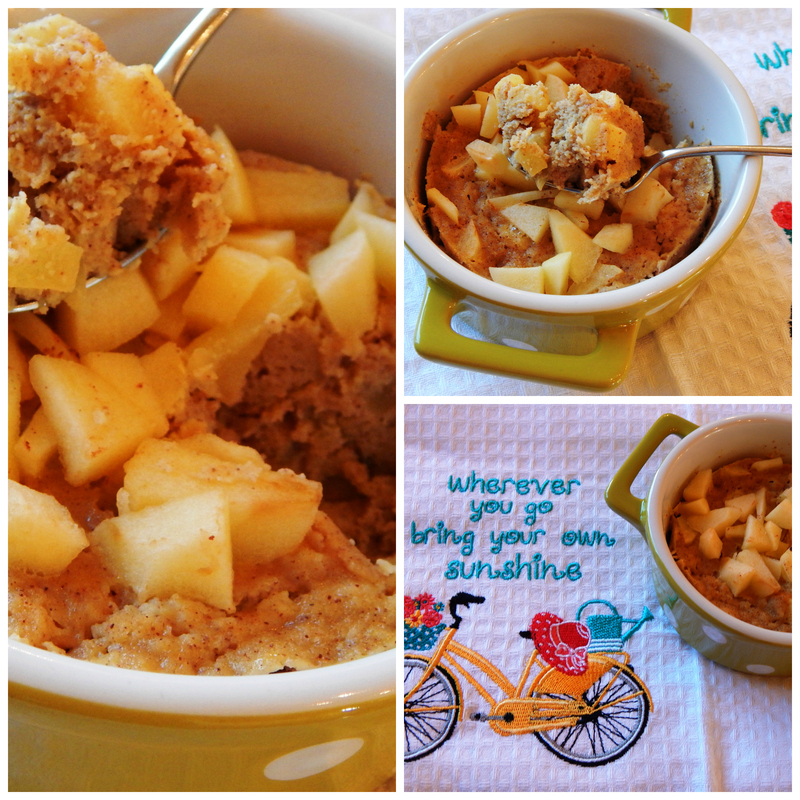 My family loves my mug muffin recipes, and they have been asking for an apple pie mug muffin! I can’t wait to share it with you also! Mug muffins are so awesome…….they are fast, fresh, and cater to an individuals preference, because you make one at a time! You don’t have a whole batch to consume before they get stale, and if you feel like apple, pumpkin, berry, or whatever you have in the house, you get to choose. This muffin takes two minutes in the microwave, and you can prep it and refrigerate it the night before if your morning is rushed. Then all you have to do for breakfast is pop it in the microwave for two minutes, and it is ready! Even so, they only take ten minutes to prep and two minutes to cook if you make it right when you want it. It is a nutritious, grain free, guilt free breakfast or snack! I personally like to make one in the evening, and my children like to make them for breakfast. This Apple Pie Mug Muffin is sweetened with just a tablespoon of honey, has a healthy fat and protein rich egg in it, and the apple of your choice, which is a good source of fiber as well as the coconut flour! I used Fuji apple in the muffin pictured below. If you like an apple with more tartness, try a Granny Smith, but any kind will work! Use your favorite! 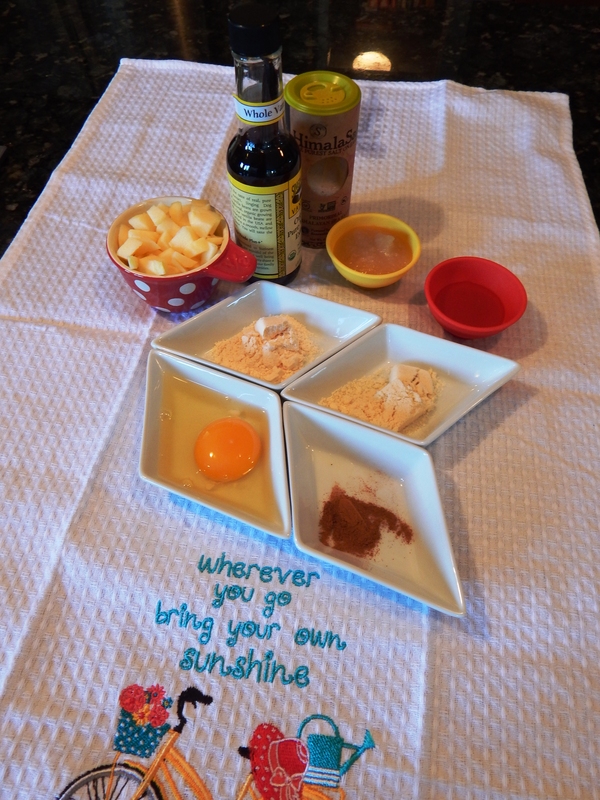 In a bowl, whisk together all the ingredients except the apple. Fold in the apple, reserving a little bit for the top. Spoon the batter into a mug. Sprinkle with the remaining diced apple. Microwave on high for 2 minutes. Serve! Be careful, it is hot and delicious, and smells soooo good!